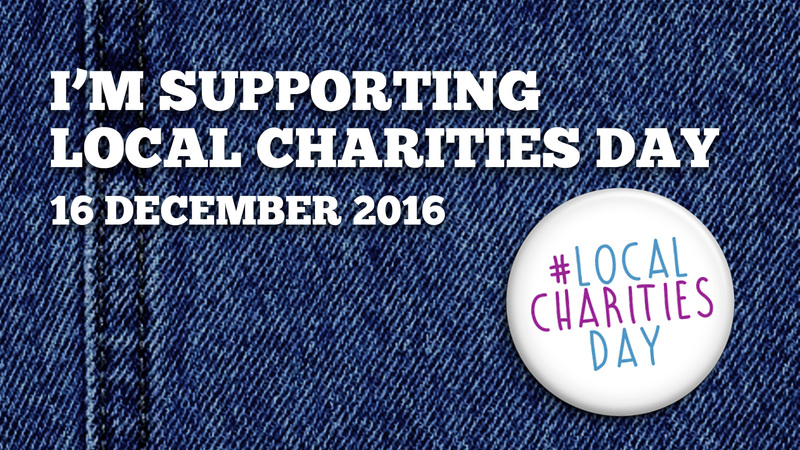 Over £23,000 raised on #LocalCharitiesDay! What is Local Charities Day? 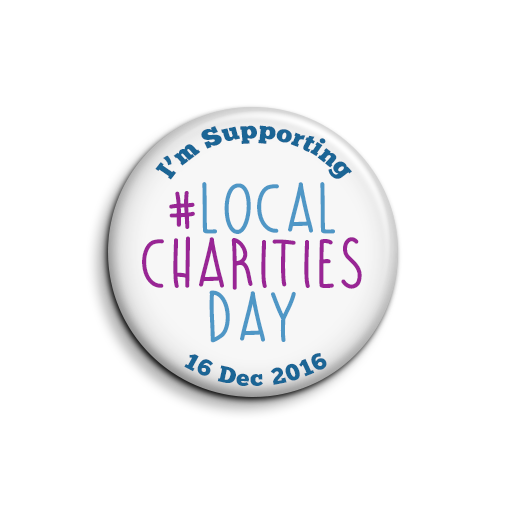 Local Charities Day (16th December 2016) is a new government initiative to put small, local charities and community groups into the spotlight, helping them thrive and demonstrate the great work they do in their areas. 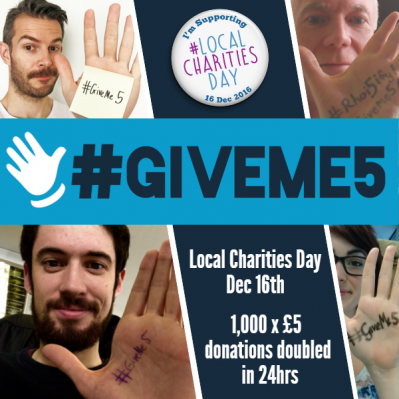 The Office for Civil Society is contributed match funding to our #GiveMe5 campaign, which ran on the day. 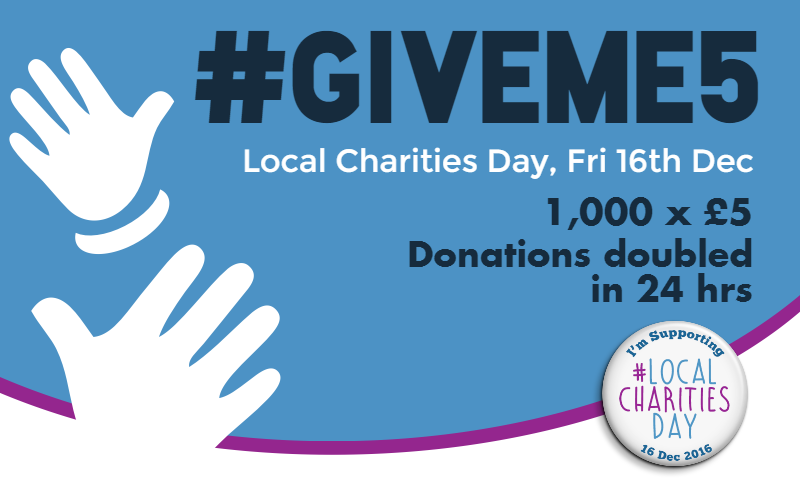 The campaign randomly matched 1,000 x £5 donations made on the day. 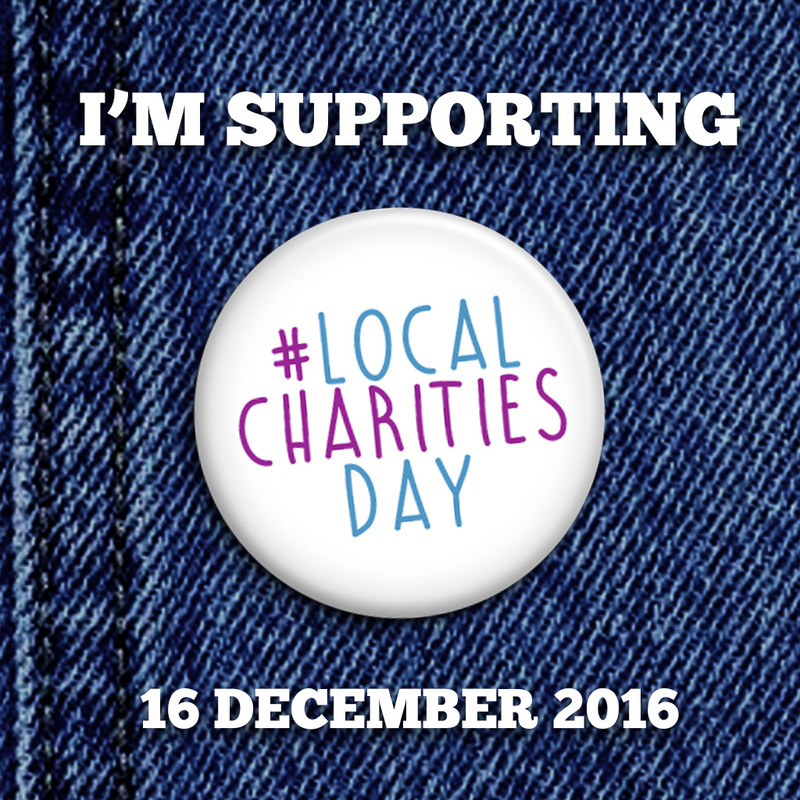 Use these resources to show your support for local charities and encourage donations on the day! 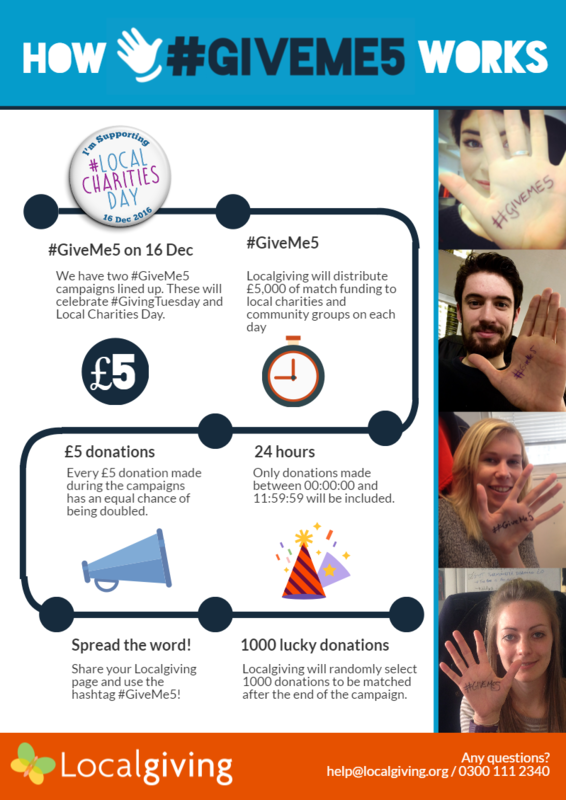 Conditions of entry: Each £5 donation made to a participating charity through Localgiving between the promotion start and end times will be placed into a draw to be doubled by an extra £5 of match funding. Donations of other amounts will not be included in the draw. 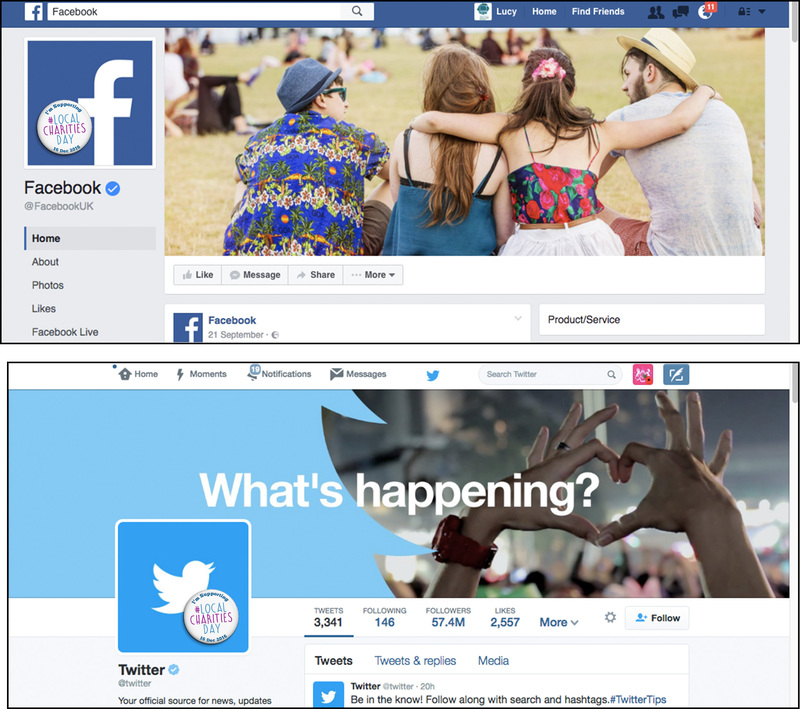 The promotion only applies to one-time donations. 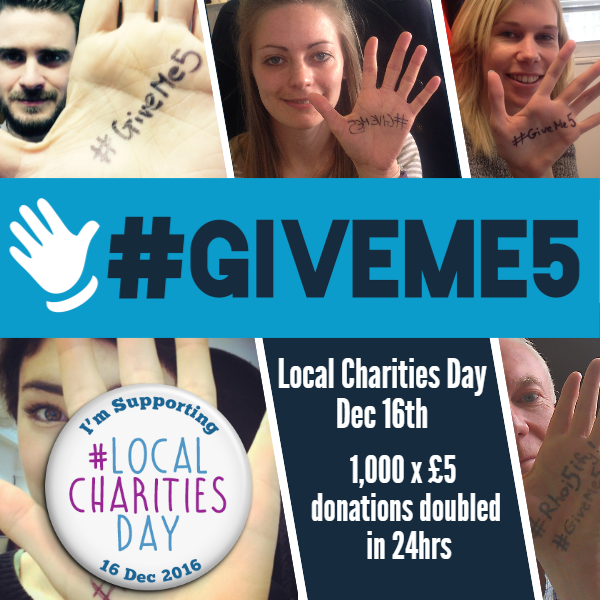 Number of donations matched: 1,000 x £5 donations will be matched as part of this promotion. 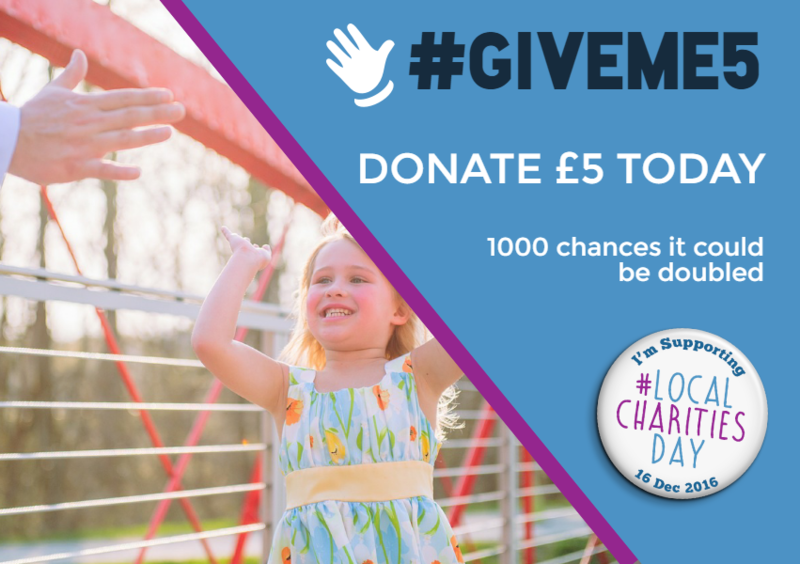 Charity & supporter limits: Donors may make as many £5 donations during the promotion as they wish and there is no limit to the amount of match funding any single group may receive.